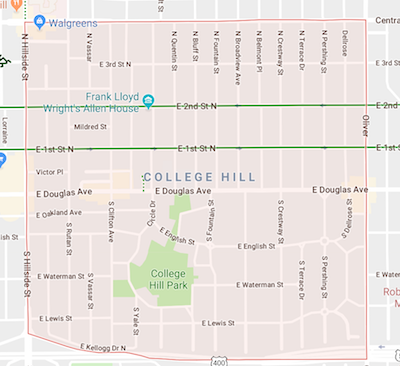 When it comes to residential neighborhood running in Wichita, it doesn’t get any better than the College Hill neighborhood, just east of downtown. These gridlike streets are lined with lovely trees and homes, including the Frank Lloyd Wright Allen House. The neighborhood is also home to College Hill Park. This green space is not large enough for a run of its own, but it’s definitely worth incorporating into a loop of the neighborhood. A good place to start is East Douglas Ave, then runners can put together a DIY run of any length. 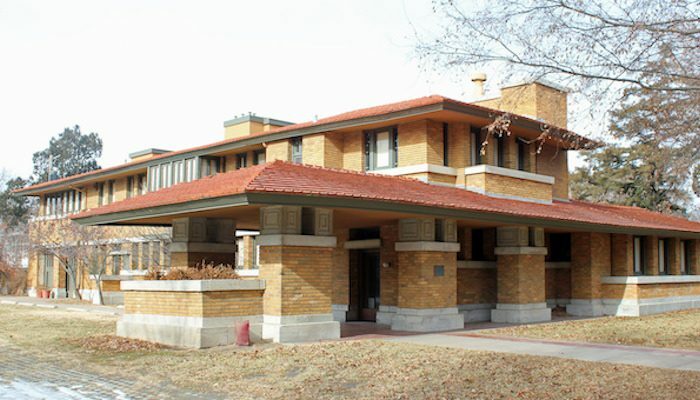 Be sure to hit North Roosevelt Street and Circle Drive for a look at the Allen House and Park. Overall, the area is bound by S. Hillside and Oliver east-west and Central Ave.-Rt. 400 north-south. For a longer run, locals recommend the Health Strategies route, which starts from the free parking area of Health Strategies. This ~23 mile map copies a beloved section of many Wichita marathons — mostly on roads, but also some shady sidewalks and running paths.